Planner Pages | Beginning of Summer! I thought I'd share some photos of a completed spread in my planner. 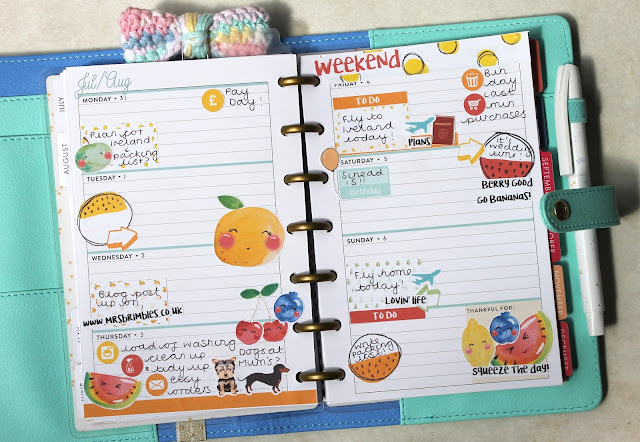 I used the super cute cat and floral stickers from the August Brimbles Sticker Kit, and I wanted to show how I use the functional stickers to plan. For reference, I use a mini happy planner inside a personal Kate Spade, and I find it works really well for me! I do use a bullet journal alongside this for longer lists, so this planner just has any big events and my main to dos for each day. Of course, the checklist stickers are the most functional of all! I used these for the weekdays and the notes section, so that I could jot down my main to dos for each particular day. I use the icon stickers and arrows to highlight or represent specific tasks, alongside a few stickers from my own stash. The alphabet sheet in this month's kit was perfect too! I work in a school, so my summer holidays began at the end of July; I picked out the letters to spell "Summer", to add a fun banner to that day. It was just about the only thing that dragged me through work on Monday and Tuesday! 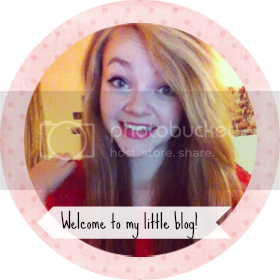 I have to admit though.. the decorative stickers are my favourite! I fill in blank space/spots I know I won't fill with the cute icons and banners, and they're fab for covering up mistakes too. That little "Bloom where you are planted" cluster? It's covering up where I wrote an appointment on the wrong day! I loved layering the flowers up to create a pretty background for the text sticker. As I only use this planner for the main events of the day, I can go a bit crazy with decorating. There you have it, a full week in my planner! I hope you've enjoyed seeing my pages. 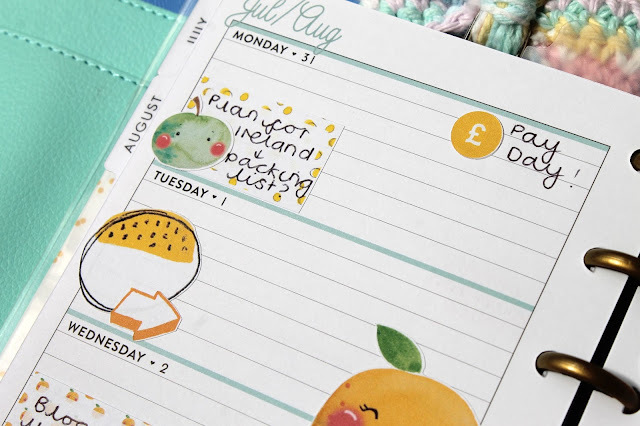 Today I'm sharing the gorgeous Juicy Frootz stickers from this month's #BrimblesStickerClub. I'm super excited that Anna has branched into actually making her own stickers, and this first kit certainly didn't disappoint. With such a summery theme, I couldn't wait to use the stickers in a spread for August! I knew that the first week of the month would be super busy, as we're heading to Ireland for a wedding, so I decided that the functional stickers in the kit would get lots of use here. When I'm decorating a week in advance, I keep my calendar next to me and make sure that I don't miss out any important details or events. This week for example, I know that our flight is at the end of the week, so there will be certain things I need to get done beforehand. I used the half boxes to give myself reminders, and the icon stickers to mark things like pay day, bin day and household chores. I used lots of functional stickers, but of course the decorative ones are the most fun! The adorable little fruit faces make cute embellishments for your pages, along with the tiny word strips. 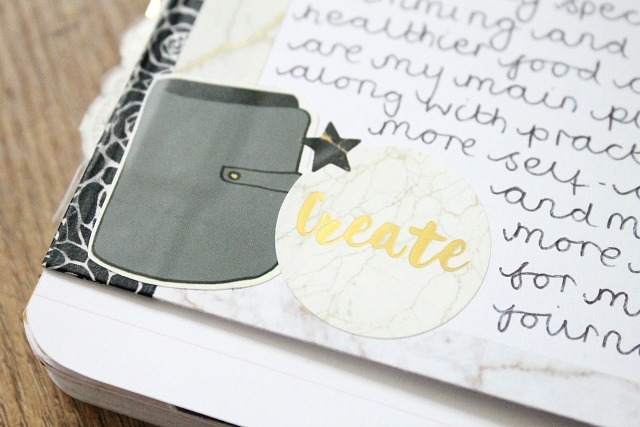 The kit also comes with some "washi strips", which are great for adding a little something extra to the top and bottom of your pages. You could even use them to block out periods of time, for example a university lecture or shift at work. 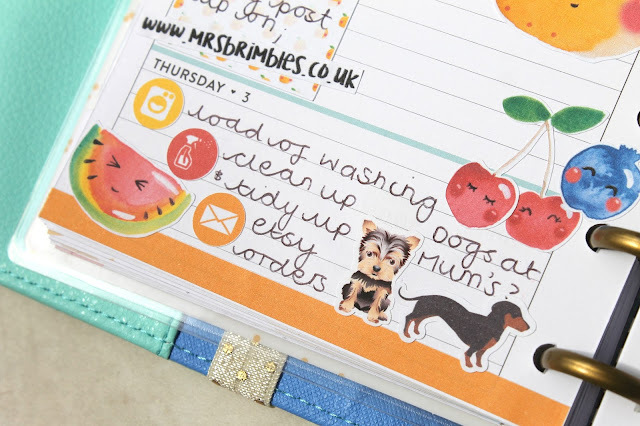 I hope you've enjoyed having a look at my planner pages! 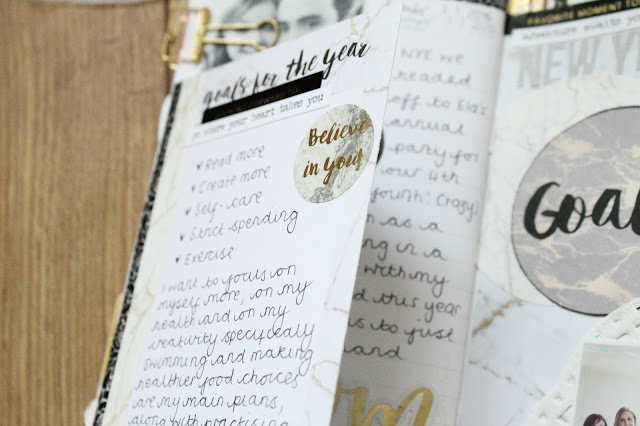 I'm back today with a spread in my creative journal, all about my goals for this year! I'm loving my traveller's notebook for this kind of memory-keeping; it allows me to journal a little more than Project Life does, and really note down my thoughts and feelings about an event. 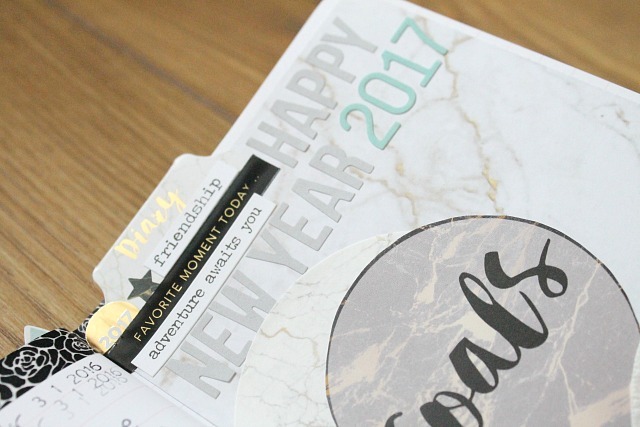 I used the beautiful January Brimbles Box to put these pages together, and the goal-focused sentiments were just perfect! Part of the journaling is quite personal, so I decided to create a tip-in. I used washi tape from the box, along with one of the 6x4 cards from the cut apart sheet, to create this lift-the-flap type page. It not only covers my more private thoughts, but allowed me an extra space to write my general goals for the year. I decorated the card with some phrase stickers from my stash, and some of the gorgeous foiled stickers from the box. I love the planner sticker, too. I covered the right-hand page in some of the marbled paper from the box; I treated it almost as a scrapbook page. 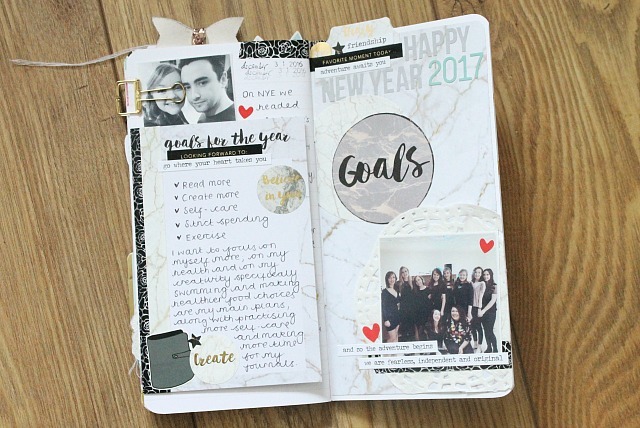 I layered a doily from my stash, a photo of my friends and I from New Year's Eve, and trimmed out the circular "Goals" piece from a card on the cut apart sheet. I picked out some alphas from my stash to create a title, along with a few more of those phrase stickers to tie in both pages. To finish the spread, I used a tab from the box for a bit of dimension and interest. I think it looks fab to have tabs and bits and pieces visible when the notebook is closed. I hope you enjoyed seeing my project! You can also find me on Youtube, Instagram and Twitter.